You can add sombreros to the players and call it Juan on Juan. One more thing. Is it possible to be able to set the score? Playing to 97 take a long time! Dude, just played to 97 -- 9 minutes . Attention span ! Currently I have TV type toggling between white and orange color scheme. I am not that crazy about teh orange but thought that some folks might like an orange ball ( although ABA used red white and blue ball I believe) . I could change TV type to toggle between long game or short game. What would be the perfect score? 21 is too short , since baskets count for 2 and 3 pts. OK, I changed the default game to first to 21. The foul limit is 2 for this option . TV type to BW is first to 97 with foul limit = 5. Edited by easmith, Sat Mar 30, 2019 7:21 PM. Regarding the trademark thing, I'd personally not sweat it. 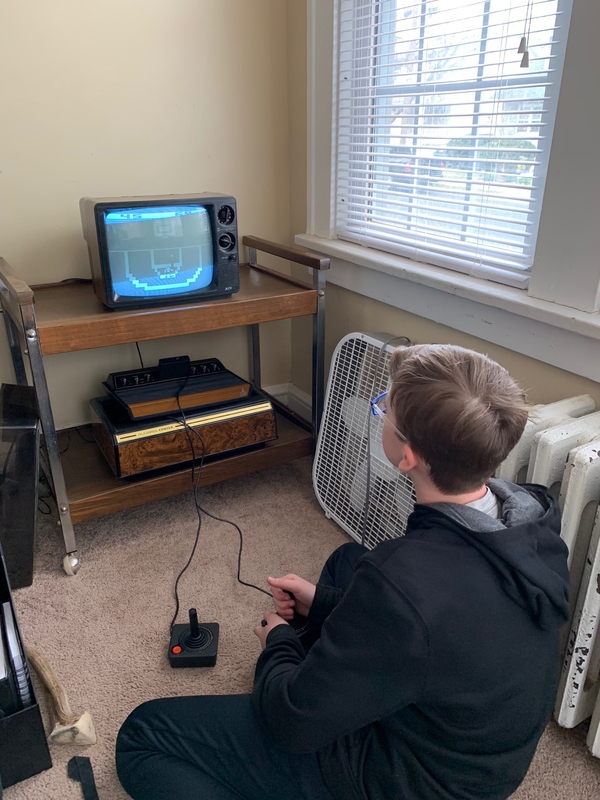 "One on one" being a game that predates - and is replicated by - the video game, weakens the mark substantially. Further, afaik EA hasn't used the mark in trade for decades. Three years is the usual measure for abandonment. None of this will prevent lawyers from sending scary letters, but guarding a mark they don't use and would likely lose in court seems a big waste of their time. Thanks for updating the scoring! Love it. 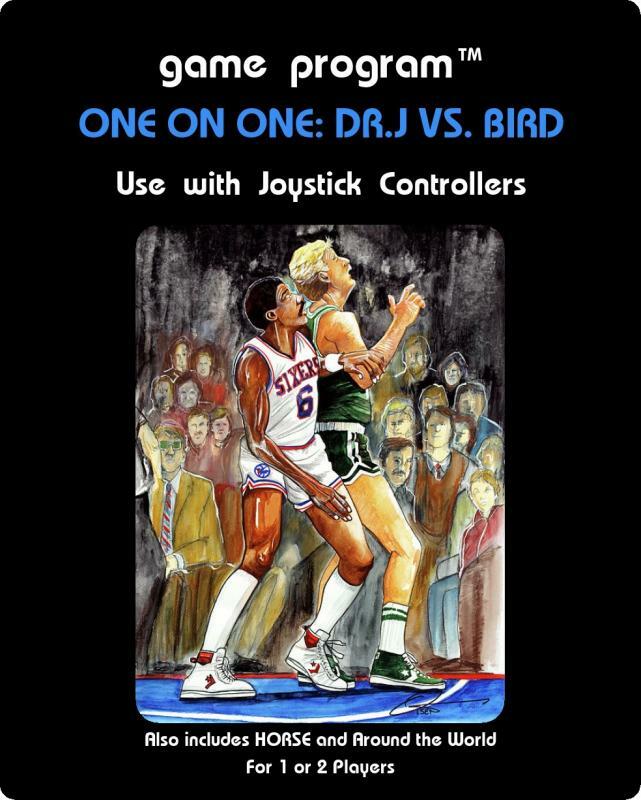 Screw it .. For now it will be One on One : Dr. J vs Bird. Name can be changed later if needed. Edited by easmith, Fri Mar 29, 2019 2:45 PM. Edited by easmith, Sat Mar 30, 2019 9:34 AM. I am sure people are getting sick of my 7 updates per day ( think I set myself up for quotes here), but can't stop..... had a breakthrough when I slept on it. The court is divided into 15 rectangular regions, 9 of which are beyond the 3 point line, and 2 have the arched part of the 3 point line running right through them diagonally. For the 9 regions completely outside the 3 point line , deciding score is easy. For the other 2 much more difficult. Need to have the default score 2 pts if inside the line , but have the score 3 pts ( and make prob. lower) beyond the line ---either entering the region from 3 point range outside the line or crossing over from inside 3 point range. Beyond the line in this region also has to register as backcourt. 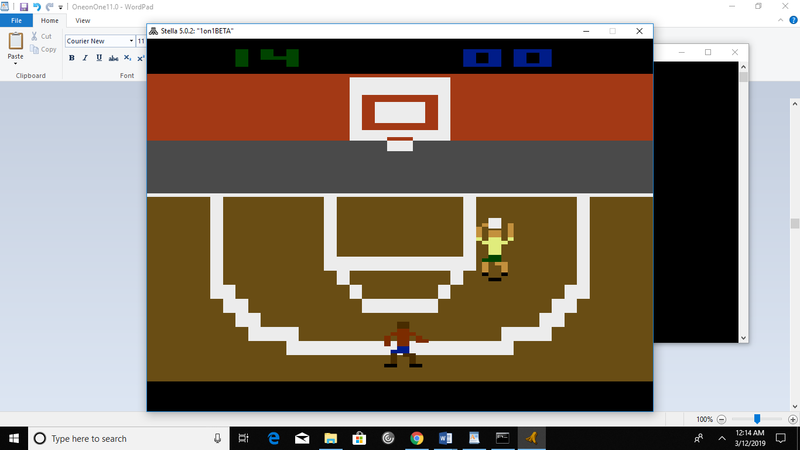 The routine that determines all this is based on the ball shadow first registering collision with playfield lines and then ,when the collision is no longer registered, recording the direction of player motion, to determine if the player had moved outside or inside the line. What was happening was that the arched part of the top of the key is also in the corner of these regions and so passing over this part while moving down was activating the 3 point score. This rarely happened in just the right way but I finally noticed it. Gonna let this one breath for a few days . If anyone catches any bugs please let me know . Edited by easmith, Sat Apr 6, 2019 10:24 AM. Anything that gets him off of Fortnite has got to be pretty good. Now that’s a proper setup. TV cart and Game Center. We'll be featuring One on One LIVE on tomorrow's (Wednesday) ZeroPage Homebrew stream on Twitch at 11AM PT | 2PM ET | 7PM GMT! Hope everyone can watch! Edited by ZeroPage Homebrew, Thu Apr 4, 2019 1:30 PM. 1. added sound for steals. 2. dropped the 99 point option . Now just first to 21+ wins . Instead of TV type toggling short game vs long game, it now adjusts AI player level. Color = faster AI . AI is better defender and rebounder. Very hard to beat AI off the dribble for a dunk . BW = easier AI . AI is slower defender and rebounder. Easier ( but not easy) to beat AI off the dribble for a dunk. Edited by easmith, Tue Apr 9, 2019 7:11 AM. Made a few final tweaks. This will most likely be the final revision . Good Deal Games will likely produce some carts under the title "1 vs 1 Basketball" later this Spring or summer.! Edited by easmith, Wed Apr 10, 2019 4:55 AM. I don't have my console handy to test, but does the TV type work properly for the 7800 as well (momentary button instead of a switch)? This is also something to consider for compatibility with the portable. Maybe consider the default (Color) being the easier option. Just a thought, but that was an issue with some of the commercial games (E.T. - the default being the hardest difficulty added to the frustration of some players while those of us who read the manual knew to practice on game 3, default for Berserk not having Evil Otto - you had to read the manual to know which game selections had him, Moon Patrol not having music on the default skill switch - had to read the manual to know to select difficultly A for music). I'm just suggesting maybe (maybe) it would be better for the harder difficulty to be the more non-standard setting of B/W.
. But for me , on the easier version, I found a few move combinations where I could drive and dunk pretty much every time, and just knowing that I could do that at will makes it not fun , So I prefer the harder option where I have not discovered any such vulnerability. I can still dunk once or twice per 21 point game. Thank you. I greatly appreciate your willingness to receive feedback and accommodate requests. It's really awesome of you. I look forward to trying out both versions soon.